RETURN OF HIGHLY POPULAR SPEAKER AND SPECIALIST IN ADOLESCENT AND ADULT SUBSTANCE ABUSE. Are you having trouble understanding the difference between vaping, dabbing, and juuling? Not sure how to address cannabis and other substance use with your teen now that it is legal? Danielle Ramo, PhD, director of research at Hopelab Foundation and adjunct faculty in the UC San Francisco Department of Psychiatry specializing in teen and young adult substance abuse, will discuss the complicated landscape of teen cannabis and other substance use in the modern world. She will review current trends in use and how recent policies (e.g., cannabis legalization) have affected teen use. She will also share evidence on the effect of substance use on the teen brain and behavior, and note some unique aspects of teen cannabis use compared to adult use. Finally, Dr. Ramo will put forth some realistic and innovative strategies for dealing with teen substance use in an increasingly complicated social and political climate. 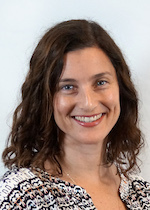 Danielle Ramo, PhD, is a Clinical Psychologist, Director of Research Operations at Hopelab Foundation and Adjunct Professor of Psychiatry at UCSF with expertise in adolescent and young adult substance abuse. Her research program focuses on using digital media to understand and address risky drug and alcohol use as well as teen emotional well-being. She is the author of over 70 scholarly articles and book chapters and her work on cannabis and tobacco use has been featured in national and international news. She regularly speaks to teen and parent groups about teen drug use throughout the Bay Area, and has three small children. For more information on Dr. Danielle Ramo: http://profiles.ucsf.edu/danielle.ramo-larios. The campus is located on Eucalyptus between 19th Avenue and Lake Merced Boulevard. Street parking is relatively easy. The Carol Channing Theater is to the right of the flagpole. All tickets are $5 advanced purchase ONLINE and $10 at the DOOR for members and non-members. Counselors are always free. Non-members, please use this PROMO CODE RAMO2018 to get the discounted price. PLEASE NOTE: IF TICKETS ARE SOLD OUT ON EVENTBRITE, THERE WILL BE PLENTY OF $10 TICKETS AVAILABLE AT THE DOOR ON THE NIGHT OF THE EVENT. Please email us at parentscoalition@gmail.com if you have any questions.